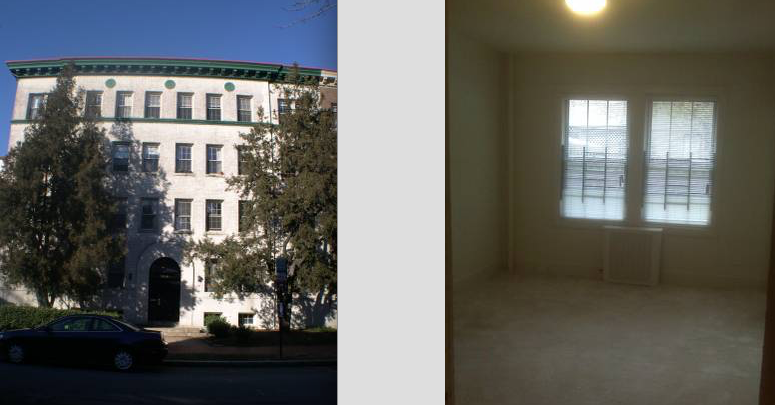 “Our apartment homes at 1815 S Street, NW are conveniently located within easy walking distance to the Dupont Metro station and the Shops, Restaurants, and Night life of Adams Morgan. Great urban location offering generously sized efficiency and 1 bedroom units at very reasonable rates. Professionally managed by FitzGerald Properties Real Estate Management, serving the Washington, DC area for more than 50 years. This 400 square foot studio is going for $1395/mo.